I picked up a Miller atomic hydrogen arc welder. There appears to be multiple ways to set up the torch. It also looks like I can convert my flame spray torch to work with it. Anyone have any experience using one? Make sure your H2 supply is not leaking and is regulated. Set your carbons to a gap of 1/8" to start. Open the fuel gas, ignite the arc, grab your filler and you are off to the races. Somebody at Miller must have been out to lunch when they came up with this name. I 'd be scared of radioactivity. Hey - but it is almost smoke-free ! ... and was developed before big nuke science - but after Curies and the pitchblende derivatives. Thanks for the tips. I will be picking up the hydrogen cylinder next time I get a tank refilled. I will let you know how it goes. The whole world will hear about it if I don't heed your advice on leakage. Sounds like you have used one before? I see on your profile that you used to work for Harrahs. Did you do any work on their Mercer? The HAC Mercer was acquired and restoration overseen by Roger Ellis before my arrival at HAC. He later left there and started an art/graphics company in town. I went to work for Roger on the side while I was at HAC, helping on the restoration/engine upgrade of his own very excellent and fast Type 35, and later, when I had my own shop and he had revived the Mercer Corp hull, we built up his 1913 Type 35 Indy car together. He was known as "Mr. Mercer" and was widely respected in "old cars" for his marvelous engineering acumen. PS: I've had my hands on one and I've seen the ALCOA film on the setup and operation of the 1940 machine. I can send you a dvd of it, if needed. Might be a tad different from your Miller model. Last edited by crystallographic; 09-01-2015 at 02:01 PM. 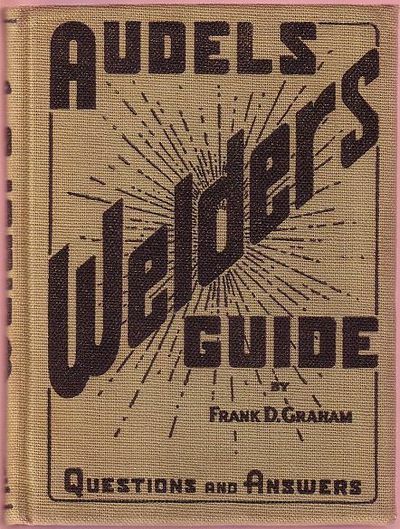 I have no experience using one but am pretty sure it was covered in the Audels Welders guide I have at the house. I'll try to remember to check it out when I get home in the morning and see if there's anything relevant. These books are usually around $5 each at used book stores when you find them. Here are some pictures of the machine. Must be one of the last ones they made. It is heavier than my 250 synchrowave. The hydrogen flows down each tungsten. I am thinking of running argon to cover the tungsten and flow the hydrogen straight thru the arc. I think that is what they do for plasma spraying. Audels shows this same setup. H2 flows through the tung, and the lever starts the arc. Voltage and amperage are adjusted independently.